Patricia Carroll Daniels was born on the 9th June 1956 in Miami, Florida USA, and is a crime writer, who is best recognized for writing a number of popular series of crime novels, in which the lead protagonist is Dr. Kay Scarpetta, a medical examiner, such as “Postmortem” (1990), “From Potter’s Field” (1995), “Blow Fly” (2003), and “The Bone Bed” (2012). Her writing career has been active since the early 1980s. So, have you ever wondered how rich Patricia Cornwell is, as of early 2017? According to authoritative sources, it has been estimated that Patricia counts his net worth at the amount of $25 million, accumulated through her successful career as one of the world’s best-selling female authors. 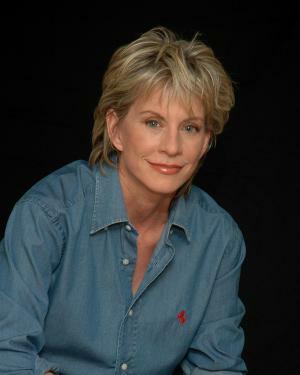 Patricia Cornwell is the middle child of Marilyn Zenner and Sam Daniels, who worked as a lawyer and served Supreme Court Justice Hugo Black; she is a descendant of author Harriet Beecher Stowe. Her father left the family in 1961, so she moved with her mother and siblings to Montreat, North Carolina, where she was raised by Billy and Ruth Bell Graham, who spotted her writing skills. She went to Kings College in Bristol, Tennessee, and later transferred to Davidson College, from which she graduated with a BA degree in English in 1979. Patricia began work as a reporter for The Charlotte Observer, editing TV listings and reporting crimes. In the next year, she won an Investigative Reporting Award for a series on prostitution, after which she moved to Richmond, Virginia, and began to write the biography of Ruth Bell Graham, entitled “A Time For Remembering: The Ruth Bell Graham Story”, which was published in 1983 – two years later, she won a Gold Medallion Book Award from the Evangelic Christian Publishers Association for the book, which added a considerable amount to her net worth. In 1984, Patricia was hired by the Office of the Chief Medical Examiner of Virginia, where she stayed for six years as a computer analyst and technical writer. At the same time, she began to work on her first novel, developing the lead protagonist Dr. Kay Scarpetta, and publishing it in 1990 under the title “Postmortem”, which became the first novel of the Scarpetta book series, which has subsequently won her a number of awards, including the American Edgar Award, and the British John Creasey Award. The book series is based on crime and forensic science, and it includes several other novels, such as “The Last Precinct” (2000), “Book Of The Dead” (2007), and “Dust” (2013), among others, all of which have increased her net worth by a large margin. Additionally to the Scarpetta book series, Patricia has also written three fictions, recognized as the Trooper Andy Brazil/Superintendent Judy Hammer series. Furthermore, she also published the book “Portrait Of A Killer – Jack The Ripper: Case Closed” (2002), based on her theory that Jack the Ripper was famous painter Walter Sickert. When it comes to her personal life, Patricia Cornwell has been married to Staci Ann Gruber, an associate professor of psychiatry at Harvard University, since 2006. Previously, she was married to Charles L. Cornwell, her English professor, from 1980 to 1989; she has no children. Patricia was diagnosed with bipolar disorder and she has suffered from depression and anorexia nervosa, perhaps partly due to not ‘outing’ herself until quite late in life, a year after her second marriage. In her free time, she is very active in charity work, as she has collaborated with a number of organizations, including the Virginia Institute for Forensic Science and Medicine, Harvard Art Museum, Crime Scene Academy, etc. Movies The Front, At Risk, A.T.F.